SUEÑOS 2018 WILL HOST AN EXCLUSIVE VIP MEET & GREET WITH JUNOT DIAZ, MISTY COPELAND, TAYE DIGGS, SHANE EVANS AND DASCHA POLANCO, WHICH WILL TAKE PLACE IN THE ITALIAN ACADEMY LIBRARY FROM 6:30 PM TO 7:30 PM. THERE WILL BE A LIMIT OF 75 TICKETS AVAILABLE. THE MAIN EVENT WILL BEGIN AT 7:30 PM IN THE MAIN HALL AND THE EVENING WILL FINISH WITH THE FIRST US PERFORMANCE BY THE DREAM BACHATA ACADEMY BAND, FOLLOWED BY THE CROONINGS OF BACHATA DIVA ANDRE VELOZ. BRING YOUR DANCING SHOES! We expect to sell out so purchase your tickets early! DREAM’s 6th Annual NYC Benefit will take place at The Italian Academy at Columbia University, with an exclusive VIP reading limited to 75 guests in the library from 6:30pm to 7:30pm, followed by our main event, headlined by our awards and a special musical performance by Andre Veloz. 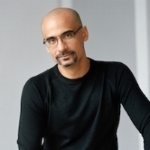 Confirmed guests include some of New York’s most prominent philanthropists, educators and celebrities, including our DREAMer of the Year, Pulitzer Prize winner Junot Díaz. He will be joined by the Principal of The American Ballet Theatre Misty Copeland, Actress Dascha Polanco, Educators of the Year Actor and Head Start Ambassador Taye Diggs with Artist and Writer Shane Evans, the cast members from Orange is the New Black, and many more. All proceeds from the event will go towards DREAM’s early childhood development, at-risk youth and workforce development programs. DREAM was founded in 2002 by a group of visionary volunteers and donors that, after visiting a public school in Cabarete with no running water or electricity, were compelled to improve Latin America’s poorest performing education system. 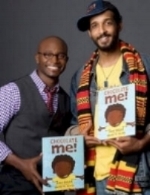 They established both a US and DR non profit organization to create change. From acclaimed author Julia Alvarez and Pulitzer Prize winner Junot Díaz, to the first Dominican born member of Congress, Adriano Espaillat, our board has consisted of artists, athletes, educators and philanthropists leading the charge to educate all Dominican youth. We build and run schools together with communities; we establish quality educational programs, and we stay and work with the communities until they are willing and able to do it on their own. This is what sets us apart from other organizations. Our DREAM is that all children and youth in the Dominican Republic will have equal opportunities to learn and realize their full potential through transformative education programs that combat the effects of poverty for more than 8,000 youth throughout our 27 DREAM communities. Join our Facebook Event and invite your friends! Parking information. Darlene Cordero, Karla Farach de Athanasopoulos, Yokasta Segura-Baez, Mirtha Cabral McQuilling, Benjamin de Menil, and DREAM Executive Board. Proceeds from Sueños support The DREAM Project in the Dominican Republic. The DREAM Project is a 501(c)3 nonprofit that provides quality education for over 6,000 children annually. We offer the hope of a better quality of life for present and future generation of Dominican children by greatly improving their educational opportunities.